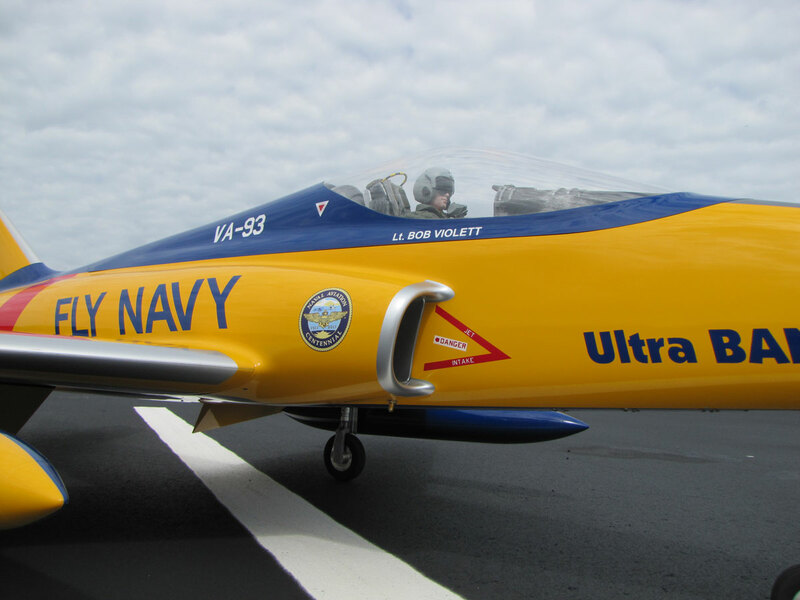 The first 3 flights on Bob Violett's latest favorite jet were accomplished on July 4th 2014. 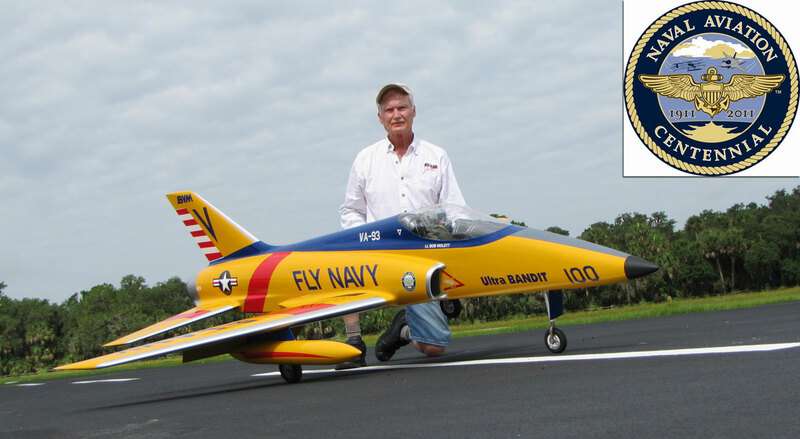 This Ultra Bandit incorporates some new products such as the BVM Hi-Flow Fuel System, the BVM E-Brake V2, Spektrum High Voltage Servos and receiver, Cortex Gyro, dual Duralite MAGNUM-ION batteries, and BVM's Jet Foam to secure the fuel tanks. A KingTech 180G provides plenty of "push" for this 40 Lb. model. 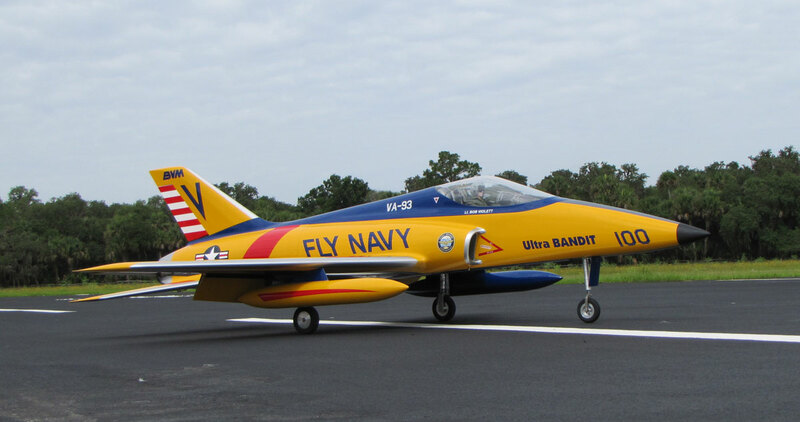 The Ultra Bandit assembly and operations manual (September 2014) covers all of these upgrades. As witnessed many times on BVMJets.com/Ultra Bandit Hotshots the Ultra Bandit enjoys a well earned reputation as the "Best Sport Jet" in the industry. The "Fly Navy Centennial" decor is a BV designed commemorative scheme that celebrates 100 years of Naval Aviation. Bob served as a junior officer and A-4 Skyhawk pilot in VA-93 (Navy Attack Squadron Ninety Three) during a Vietnam "Yankee Station" tour on the U.S.S. Hancock CVA-19 in 1967. All graphics and photos Copyright 2014 BVM, Inc.